An old favourite button to neck cardigan, still in demand. 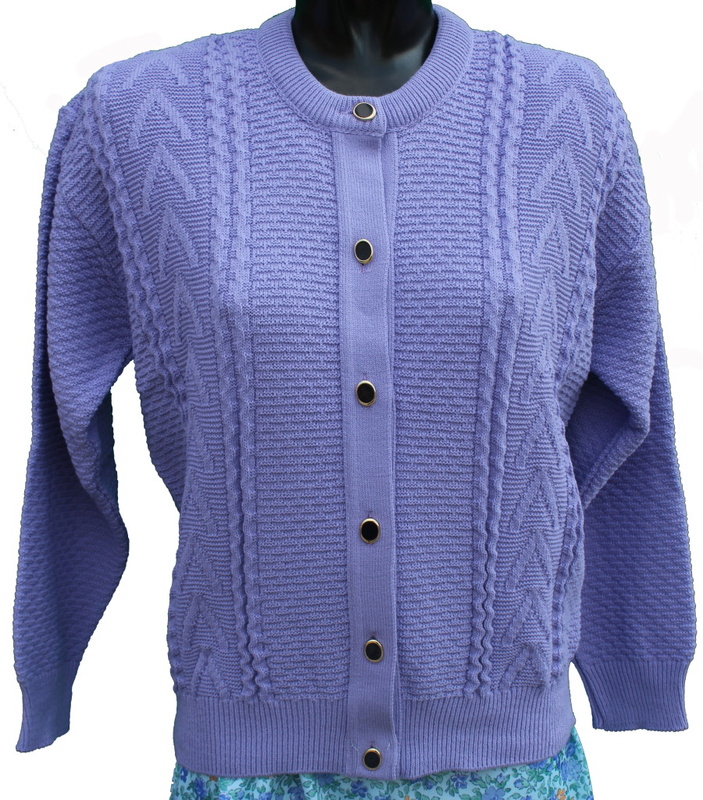 A versatile medium weight acrylic older women/elderly Ladies cardigan with button front, cable detail to front panel. M/L (UK size 14/16) chest 42"
XL (UK size 18 +) chest 50"